BEIJING — Abby Rockefeller wants to bring the People’s Pig of the Northeast back to the people. First, she has to bring it to upstate New York. Ms. Rockefeller, the great-granddaughter of John D. Rockefeller Sr., paid $1,400 this month to buy four of the People’s Pigs — Little Black, Little White, Little Gray and Old White — from a farm in suburban Beijing. She hopes to use them as breeding stock to restore a variety of swine once known in China for its virility, fatty meat and ability to endure cold. Today, by one estimate, there are only 2,000 left. If she succeeds, it would be a happy ending for four animals caught up in the peculiarities of modern China. 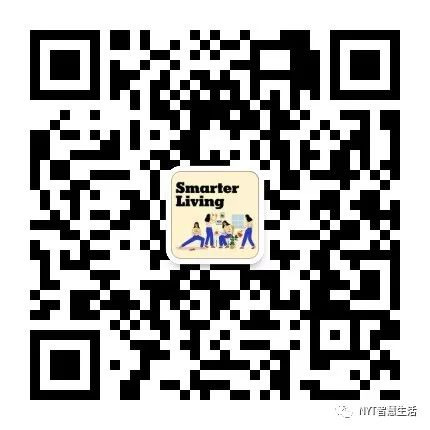 Chinese efforts to spur urbanization and modernize farming may deprive them of their current home. Health restrictions mean they can’t be moved. Chinese conservation experts want to save them. Local officials have threatened to bury them alive. It is hard to overstate the ubiquity of pork in China, the world’s largest pig breeder and pork consumer. From the north to the south, the meat is served in everything from dumplings to soup. Every part of the pig is eaten, including the head, feet, heart, tongue, stomach and kidneys. But the bulk of it comes from Western pigs. These breeds came to China as a way to meet the explosion in demand from a richer population that wanted more meat. 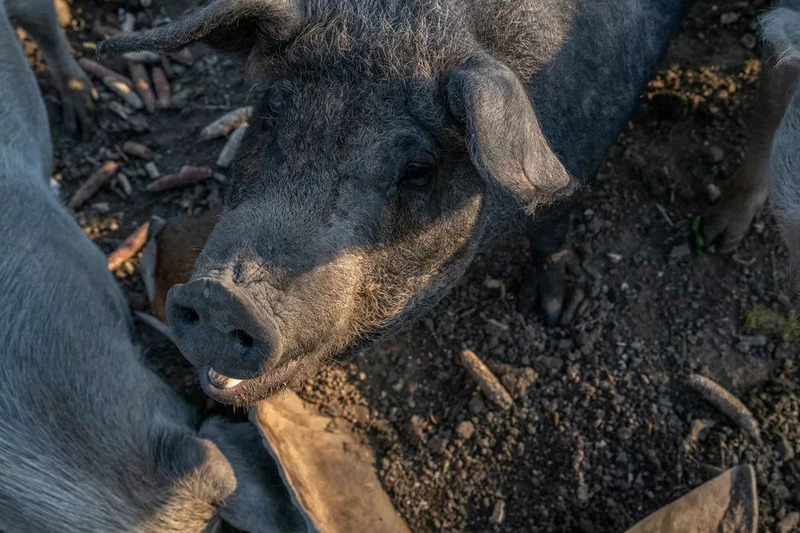 The government gave subsidies to pig farmers starting in the 1980s to cultivate breeds from the United States and Denmark with names like Duroc and Landrace. Local breeds have faded. 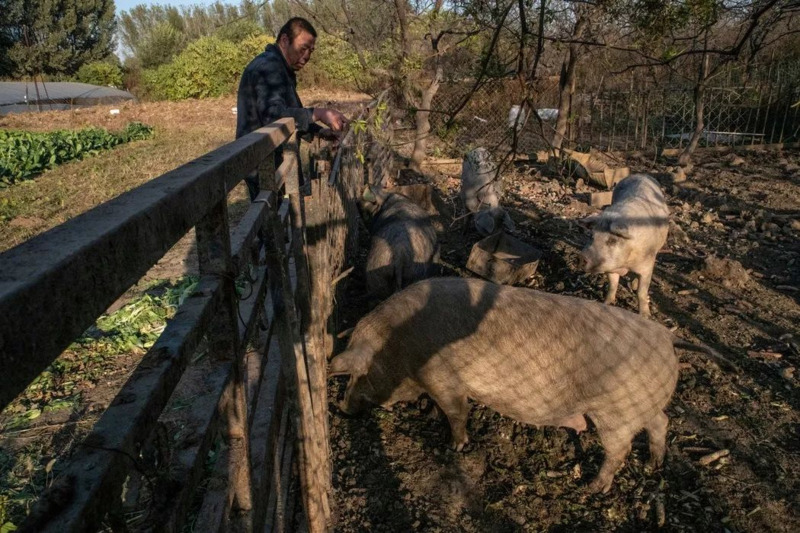 Of about 72 local pig breeds in China, at least 31 could become extinct, according to a 2013 report by Oriental Weekly, a newsmagazine affiliated with China’s official news agency, Xinhua. The People’s Pig of the Northeast, or “dongbei minzhu” in Chinese, originated from Heilongjiang Province in northeastern China. The origin of the name is unclear. In English, some of their fans call the pigs by the literal translation of their name, while others call them Min pigs. Local connoisseurs say their meat is tastier than foreign pork. China’s Ministry of Agriculture lists the breed on what it calls its “national team” — animals of excellent pedigree whose genes should be protected. Wang Chuduan, a professor at China Agricultural University in Beijing who specializes in pig breeding, estimates there are about 2,000 of these purebred pigs in China, up from just 100 in the 1990s. Little Black, Little White, Little Gray and Old White lived among 200 other pigs, chickens and cows at the Green Cow Farm on the outskirts of Beijing. 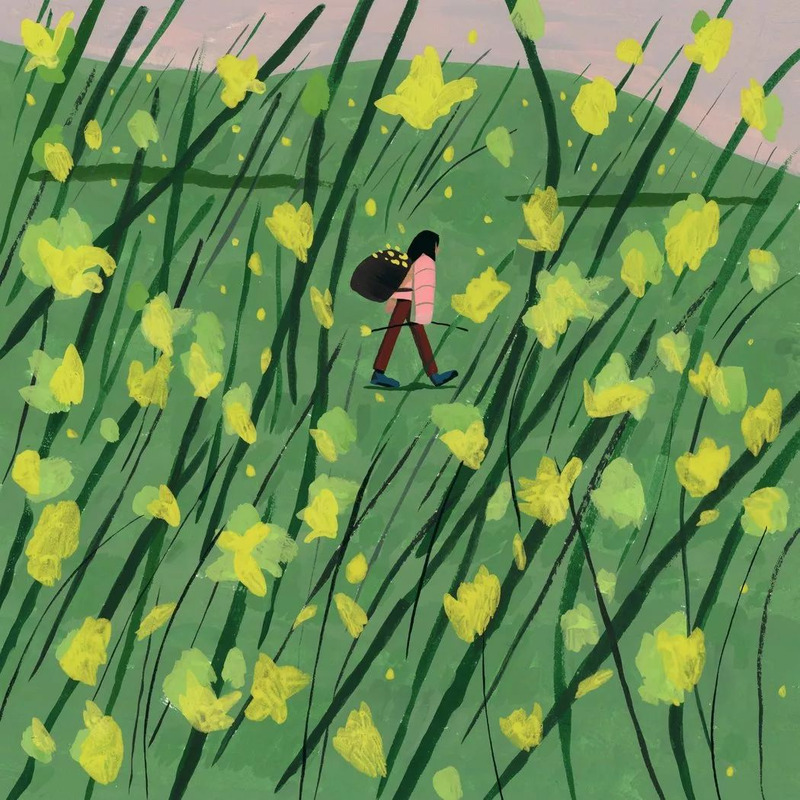 Lejen Chen, the farm’s American co-owner, started the organic farm 14 years ago to supply her two restaurants with chicken, pork and milk because she could not find a safe source of food in Beijing. 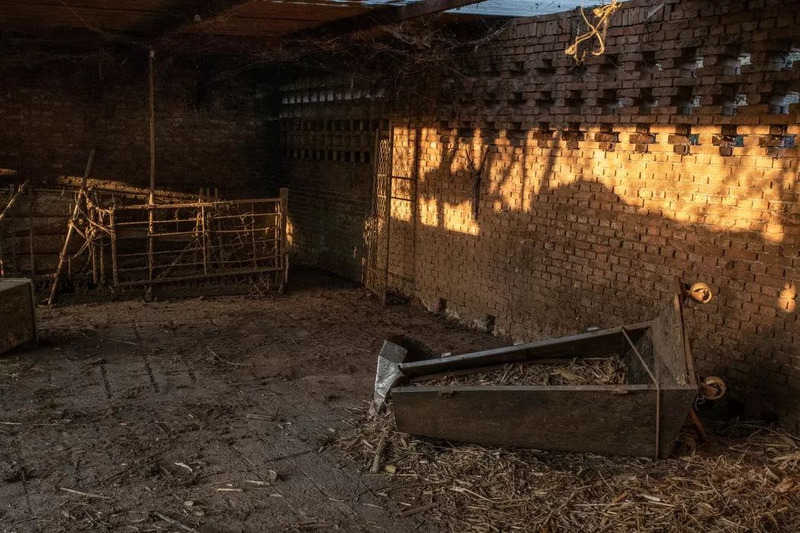 Just before a weeklong national holiday in October, local officials told the farm’s owners that they needed to get rid of all of their animals within five days, Ms. Chen said. 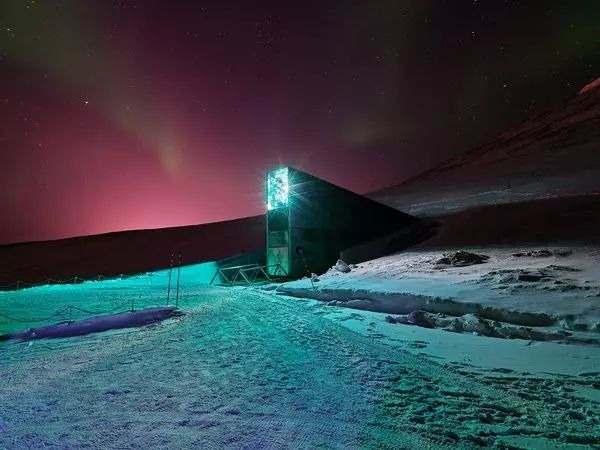 If they failed to do so, the officials warned, bulldozers would cover them up. China is on a campaign to shut down small farms in favor of building large-scale commercial operations like the kind in the United States. Officials say the move will improve food safety and the environment. Last year, the Beijing government said it had shut down 370 farms in its suburbs, reducing major pollutants. An official from the Lixian Town Agricultural Service Center, which governs the village where Green Cow Farm is situated, said that in April the local authorities started making farms comply with a policy that farms with greenhouses can only be used for growing vegetables and cannot contain livestock. The official, who declined to give his name, denied that the authorities gave the farm only a few days to get rid of all of its animals. Supporters of Green Cow Farm say the new policy is hogwash. The real environmental enemies, they say, are large companies that confine hundreds or thousands of pigs, chickens and cattle, increasing the risk of water pollution and outbreaks of infectious diseases. They say the government should instead protect small family farms that grow heritage breeds. Ms. Chen and her husband, Shan En, sold some of the animals. 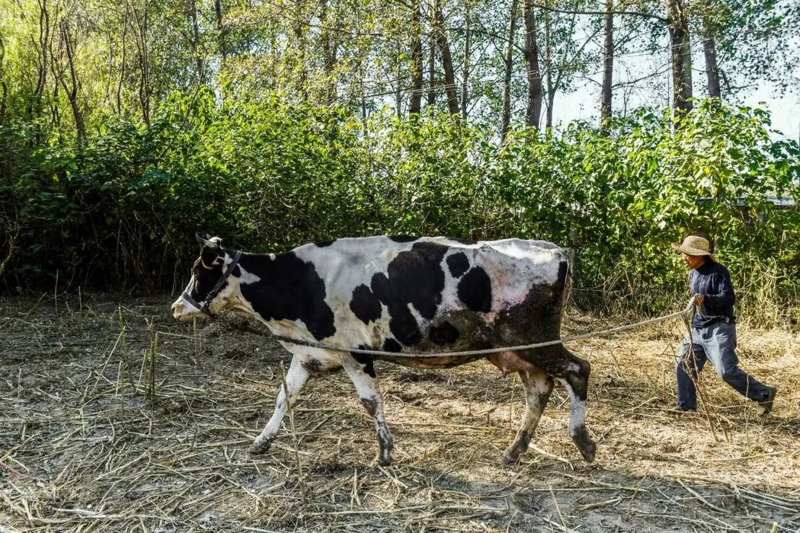 They sent others to another farm, what they call their “Noah’s ark.” One cow, Big Flower, initially refused to get on the truck, circling the farm three times before she finally gave in. But Little Black, Little White, Little Gray and Old White could not be moved. The government has imposed rules on transporting live pigs to prevent the spread of African swine fever, a highly contagious disease that is sweeping across China. The disease isn’t fatal to humans but has killed thousands of pigs in China and prompted mass culling. So Ms. Chen called Ms. Rockefeller. She had visited Green Cow Farm twice, in 2007 and 2009, and has a farm in Hudson, N.Y., that she believes will make a comfortable home for the pigs. In their purest forms, the People’s Pigs of the Northeast have thick black coats with long hair. Ms. Chen said she believed some of her pigs, which have whiter coats, are of mixed breeds. It has been nearly a month since officials first delivered their threat. No one knows for certain how pigs can be moved from China to the United States. China has placed the People’s Pig on its list of protected animals, so taking them out of the country can be challenging. If individuals or institutions want to export a protected animal, they have to submit a plan to the provincial government’s animal husbandry department and “propose a shared-benefit plan for the state.” The application then goes to the national animal husbandry and veterinary department for approval. The village’s vice mayor, meanwhile, visited the farm on Oct. 9 and asked employees whether the pigs were gone yet. Still, Ms. Rockefeller is hopeful she can get them to her farm in Hudson.